2015 – How rich is the Queen? Is the Queen wearing an EU hat? For decades, royals and their use of taxpayers’ money have had the potential to be a toxic combination. This latest increase in funding – the Sovereign Grant will have risen from £31m to £82m over six years – has been made public at a time of continued pay restraint in the public sector and when there is a focus, after the Grenfell Tower fire, on the divide between rich and poor. Add in the £17,000 it cost to fly Prince Charles on a private plane between two of his residences and the ancient institution’s critics cry foul. As they do each year. And each year aides stress that a regal eagle eye is kept on travel costs and the extra cash is needed to save Buckingham Palace from damaging disrepair. 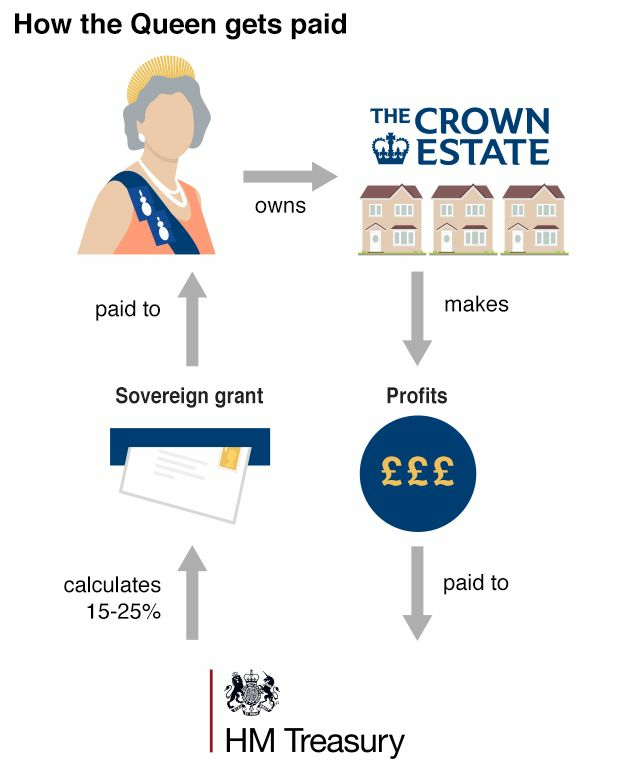 The generous royal funding formula will be reviewed in four years time. It’s meant to last until 2026. Royal officials have said they’ve no reason to believe “it won’t remain in place”.